in San Francisco, California, on Thursday, July 2, 2015. The course is taught by Chris Wood. The chop saw whirred, the cement mixer churned, and the nail gun spit out loud thwacks. The scene looked nothing like stereotypical summer school. 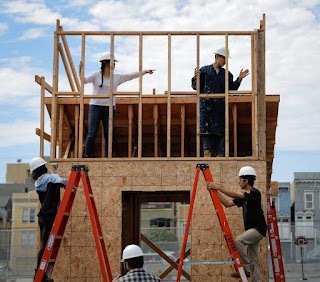 But in San Francisco, dozens of students are getting real-life lessons in what it takes to build a tiny house, fix a Muni bus air compressor or create an alternative water treatment program. The San Francisco Unified School District summer program offers a high school summer break enrichment program, the kind that nearly died off in public schools during the recession. For several weeks, 60 high school students are getting exposure to a range of careers through the hands-on programs at four schools. David Jarillo, an incoming senior at Lowell High School, was among those wielding hammers and saws at John O’Connell High School, where students were participating in a construction trades program and building an eco-friendly tiny house. The college-bound teen looked at ease in his work boots, safety goggles and white hard hat despite his previous inexperience with power tools. As difficult as one of his advanced placement classes at Lowell? “Not that hard,” he said, laughing. While the construction program looks a lot like the wood shop classes offered in vocational education programs from decades past, the district’s career courses aren’t looking to track youths into trades rather than college. “We’re not in the business of raising ditch diggers,” said Erik Rice, the district’s supervisor of college and career readiness. 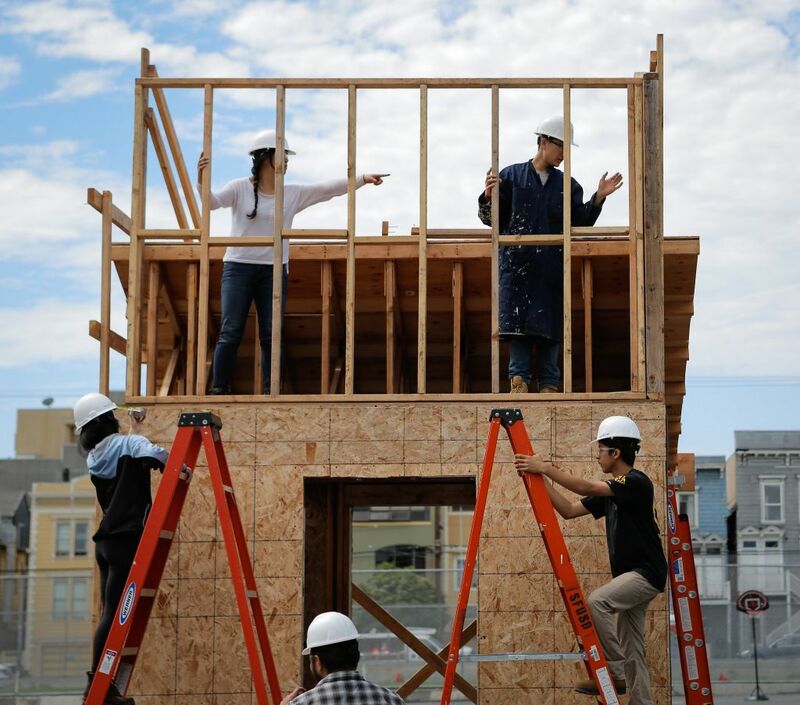 The summer construction program, which is offered during the regular school year as well, integrates the study of social issues, including affordable housing, homelessness, city planning, architecture, design and engineering. The program gives students a taste of the trades as well as a college preparatory experience, creating opportunities regardless of which direction they go after high school, district officials said.